Get smart about your future. No matter what stage of your playing career, a degree can be a valuable tool. 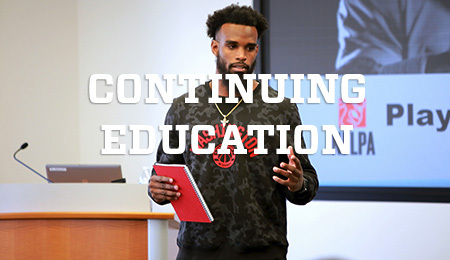 Whether you’re looking to finish your degree or earn the next one, get connected to resources that match your goals, including the NFL Player Tuition Assistance Plan. The field isn’t the only place where practice and training come into play. Push yourself to get better off the field and continue to develop your brand by receiving guidance in areas like networking, resume building, and LinkedIn creation. Complete the form to get started today. We got you covered this offseason. 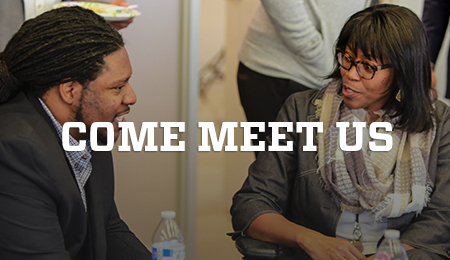 Come meet us at the following NFLPA-related events: Collegiate Bowl and Leadership Summit (LA), Super Bowl Pitch Day, VIP Party, Painting with the Pros, Smocks and Jocks and/or Locker Room Lounge (ATL) or Board of Player Rep Meeting (MIA). If you can't make it there, meet us at our office in Washington, D.C.! Camp registration has closed for 2019. 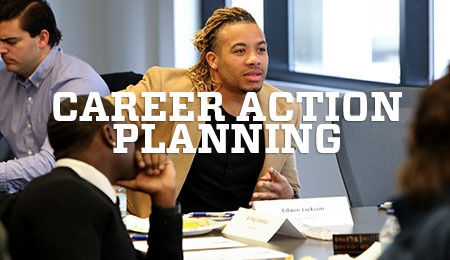 If you are interested in learning more about future opportunities, email Brandon (brandon.putnam@nflpa.com). 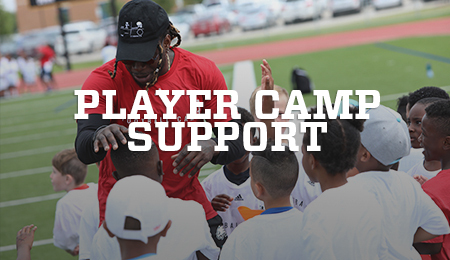 We can support your youth football camps! Discounted/free products, social promotion, content opportunites, and additional staff volunteers are available. Want More? Read the offseason rules. Learn more about your benefits. Contact us.